HOUSTON (KTRK) -- The family and friends of a teen mysteriously gunned down in southeast Houston are still without answers nearly two weeks after his death. Now Crime Stoppers needs your help putting his killer behind bars, and are offering a $5,000 reward for tips related to the case. 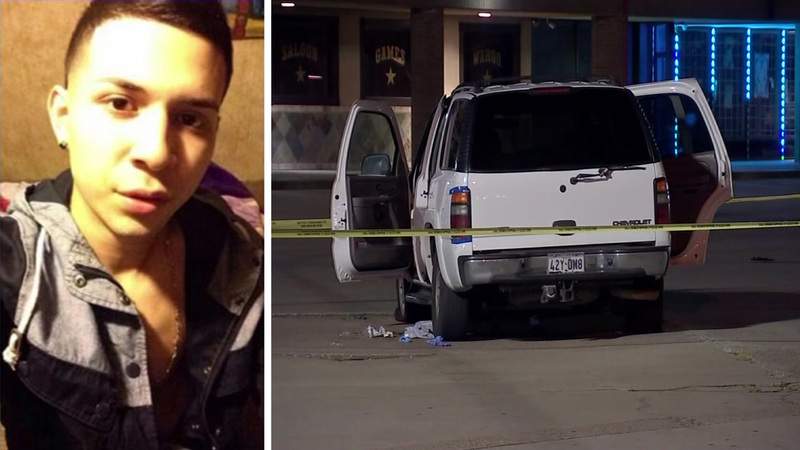 A teenager was fatally shot while riding along the Gulf Freeway early Saturday morning. Giovanni Rios, 18, had recently graduated high school when he was shot along the Gulf Freeway near Fuqua on July 9, around 1:37am. The victim was out with some friends, headed to a Jack in the Box restaurant, when the unthinkable happened. Someone opened fire on the three teens who were inside a white Chevy Tahoe. "I just heard multiple shots and I got down," friend Drew De Hoyos says. "I look at Abe and he's good and I see him looking at me. I look back and I see Geo just there." The young Giovanni was struck in the head while sitting in the back seat of his friend's SUV. HPD says the teens pulled into a nearby parking lot to get help, but the victim's killer was nowhere to be found. Investigators said a man was seen hanging out of the passenger side of a sedan, firing shots. But since then, there haven't been many new details. Officials are expected to provide an update on the case later this morning, and we'll bring you any new details as we learn them.